A bit of a disappointing week last week for the blog with only CAROLES SPIRIT returning a bit of profit. It has seen me draw level with my dad though at 3-3. There is a real twinge of excitement as I write this, it is trials day which means the Festival isn't too far away! Enjoy the feast of racing today and the return of one of the best horses in Big Bucks. I just hope he's over his injury and even a 75% fit BB would still beat these, I got 6-4 for him this morning, which I'm staggered at, what a bet that is! I just hope he runs well and returns injury free though. Good luck if you're having a flutter and we'll hopefully find you a few winners on the blog! UNIONISTE 1515 DONCASTER (nap) – (3rd – 11-4 = £1.72) the class horse in the race and I love backing these top horses who carry a big weight. There are the gest horse so should have that weight, but love it when they still win. This guy will do this today the rain overnight will have helped and despite not getting into it in the Lexus, that race is way above this class. Harry Derham taking 5lb off is another huge plus. CONQUISTO 1330 DONCASTER (nb) – (unplaced -£5.00) another to carry top weight. This race is much easier than the last couple of outings and for me the drop back to two miles is key. He won well at Aintree under McCoy earlier this year but trounced his rivals at Ayr over two miles last year. The ground is softer but he has won on heavy and this track will allow him to lead and attack from the final bend and out speed and out stay them. Cracking price! MCLLHATON 1225 DONCASTER (treble) – (2nd – 15-2 = £4.69) ran very well on his comeback on soft behind JUNCTION FOURTEEN. He is nicely handicapped I think and he has a solid form at the track when third behind AFRICAN GOLD last year. Should run a big race today! CAID DU BERLAIS 1255 DONCASTER – (unplaced = -£5.00) was very impressive last time and this looks a smart horse. The withdrawal of ROCK ON RUBY strengthens his chances more. He ran behind JEZKI too showing his level of ability and even though the form of his win isn't that good he looks a great chasing prospect. I am also having a few dollars on the following at Cheltenham ULCK DU LIN, ROCKY CREEK, BIG BUCKS and RED SHERLOCK. Well the blog is well and truely on a roll! With the last two winning naps Indian Jack (5-1) and Uncle Jimmy (15-2) obliging! It has seen me turn the tables on my dad and pull it back to 3-2 in the competition, although I'm now in more profit than him! To be fair today's ground is going to be shocking but there are some cracking races on offer! Let's hope we can maintain our form and find more profit for everyone. If you're having a flutter, good luck! CEASAR MILAN 1605 ASCOT (NAP) – (unplaced = -£5.00) this horse was bought up by the Stewart/Wiley connections as a potential smart thing and went off a hot favourite first time out. He bled and finished last that day but then re-appeared encouraging behind DEPUTY DAN last time out. We saw what he did last week and this horse will improve further for that run, will enjoy the ground and I think is one for our notebooks! CAROLE'S SPIRIT 1350 ASCOT (NB) – (2nd – 3-1 = £1.88) his horse has done nothing but improve and cosily put away As I Am last time out. The ground should suit her and she should stay. She has a real touch of class and I think she will beat Mickie. I have backed MICKIE the last two times but I think despite the favour in the weights that she has done too much too soon and this will be a step too far. VALOROSO 1515 HAYDOCK (TREBLE) – (unplaced = -£5.00) ran really well last time when just pipped by Ma Filleule at Kempton. Comes here with that form and other good form behind. This is going to be a real slog and the light weight will help and despite this being a step up I think this horse is better than his current mark. He's a cracking each way bet and will run a good race to at least place. UNCLE JIMMY 1425 WARWICK (NAP) – (WON – 17-2 = £23.44) He has two wins on soft to his name and for me he has been crying out for this longer trip. People think he may not stay I reckon it will bring even more out of him. He reminds me of HOLYWELL who I put up in this last year and was pipped by ELY BROWN. He takes a bit of a hold but is always there staying on at the end. 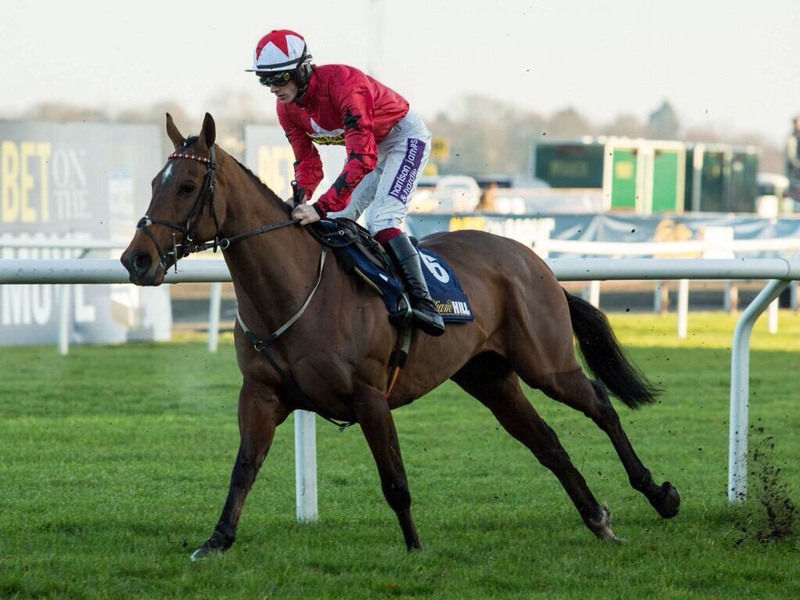 He beat ROYAL NATIVE at Fontwell over 23f and I think today you will see him stay on over the last flight here and catch up in the run in. 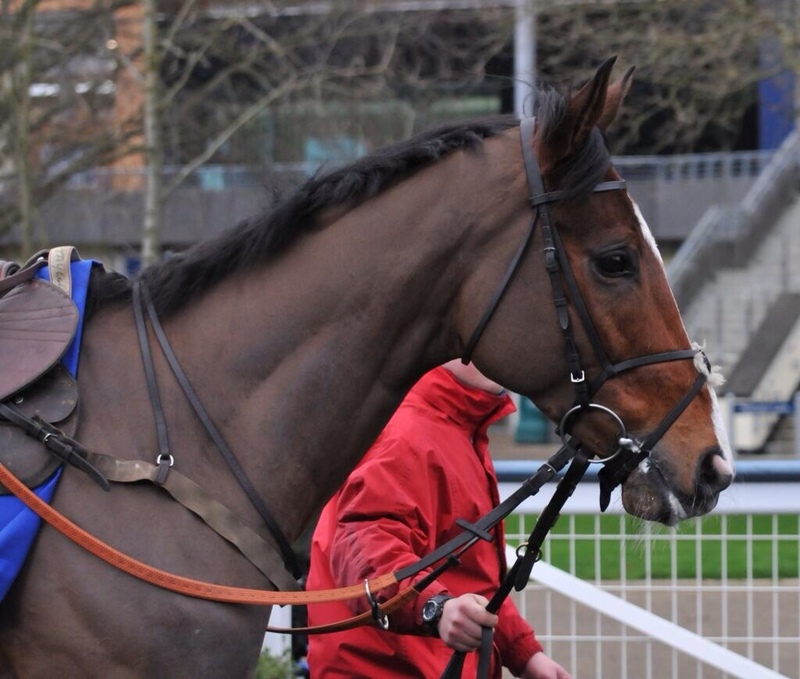 He could be my Cheltenham horse this year as HOLYWELL was last year, he would need to be competitive in this though. Great chance today! HOME RUN 1440 KEMPTON (NB) – (unplaced – £5.00) he ran a cracker last time behind SAPHIR DU RHEU and I think he could reverse the placing today on this softer ground. At the weights he is 8lbs better off today than last time for an 8 length success. Harry Derham takes 5lbs off for his claim though but I just think Home Run has been improving more and more and this track on the ground will play to his strengths. He has only gone up a pound on the ratings compared to Saphir's 15! I think he is better handicapped than his foe and I think Saphir needs laying in this today. DUNOWEN POINT 1355 WARWICK (TREBLE) – (unplaced -£5.00) has been dropped 3lbs in the ratings for his poor show at Aintree. I think he just didn't fire that day on a specialist track. He is now only a pound higher than when defeated by CLOUDY TOO at Wetherby on soft last year. He gave CLOUDY TOO 5 lbs on the weights that day and that horse is now rated 13lbs higher than my choice in the ratings. If he reproduces that form he will wipe the floor with these today I reckon. The ground should be fine for him and he has a great chance in my opinion. 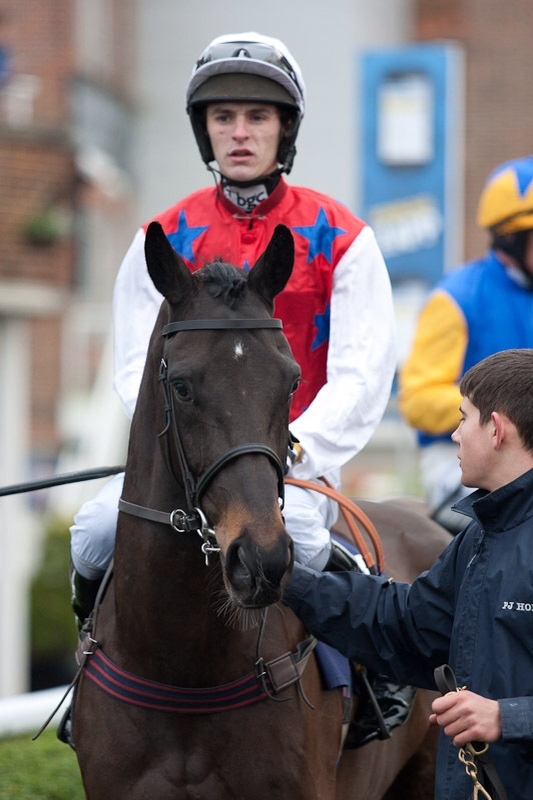 SWNYMOR 1550 KEMPTON – (unplaced – £5.00) A bit of a forgotten horse is this one! Won very well last year and was moving to win when asked too much at the last flight at Chepstow and he fell. That destroyed the rest of his season and his confidence. Miss Curtis has been patient with him and ran him for a confidence booster on the flat at Doncaster. He was staying on that day over a trip way short and it will have done him the world of good. He's six pounds lower in the ratings than when running in the Triumph hurdle and he has the class to beat these today at a great price! Before I go on to my dad's selections I also want to flag up MIAS BOY 1435 LINGFIELD – who races on the lowest AW mark for 5 years today. Also EMPEROR'S CHOICE 1535 WARWICK should produce better today dropped another 4lbs! Finally DOESLESSTHANME 1415 WETHERBY goes well fresh has solid form from last year and is being seriously overlooked at 33-1 when I write this, he has a great each way chance. Here are my dad's selections for today. We've picked three of the same races and the same horse! Well what a week of weather that has been. A real shame that the Sandown and Wincanton cards have been claimed today. My focus for the blog is on a competitive and interesting Lingfield card that has some cracking races. My old man has recovered from his New Year hangover to cast his four selections as he bids to maintain his 100% record and go 4-0 up on me! Don't know about anyone else but I could do with these selections landing, the Christmas celebrations have dwindled the Bandit's treasure chest! INDIAN JACK 1545 LINGFIELD (NAP) – (WON 5-1 = £15.63) It looks likely that he bounced last time after an encouraging run here in a class 3 handicap the time before. He stays on the same mark and the step back up to mile should help him here to come late from the bend. He has done all his winning over a mile and is a pound lower in the ratings than his last success. Has to have a good chance. WHAILEYY 1510 LINGFIELD (TREBLE) – (unplaced = -£5.00) was a head second in this last year off the same mark. He has saved his best for all weather and the booking of Buick is an eye catcher for me. He has the potential to take this and is rated a lot higher than his rivals and I think he will take this. CHEVISE 1400 LINGFIELD – (WON 20-1 = £52.50) he is back down to his last winning mark today which was here but over 7f. Has the potential to run a good race and goes well here, he's overdue a win and I'm chancing today is the day. Happy New Year to everyone! Hope you are not nursing too heavy heads after last night's exploits! Here's to a happy and healthy year to you all! On to today's action, as of yet my old man hasn't sent me his selections. He is nursing a hangover, so for the moment it's just my selections today. A good day's racing ahead, so lets all kick back, recover and enjoy these fine beasts doing what they do best. 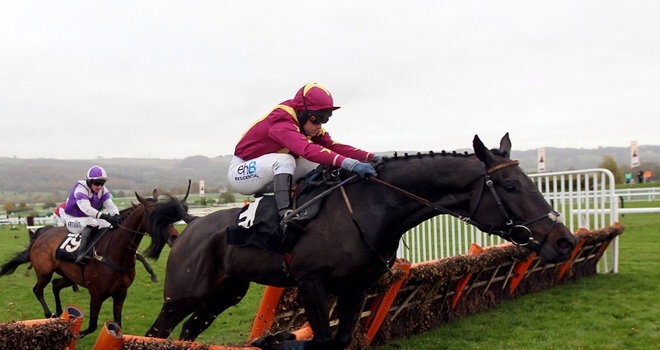 POUNGACH 1400 CHELTENHAM (NAP) – (PU – £5.00) Is the class horse in the race. His chasing career really hasn't developed and I wonder whether this is a venture back over hurdles as a future career, or just a confidence booster? Either way he has a great chance. He is on an appealing mark today considering he ran 2 lengths behind OSCAR WHISKEY here the other year off OR155. Today he is on a mark of OR147 and must have a craxking each way chance. I thought he ewas moving well in the Badger Ales trophy and just seemed to run out of gas on his first run of the season. Very hopeful today! IFANDBUTWHYNOT 1410 MUSSLEBURGH (NB) – (2nd – 13-2) Improving quickly and ran well last time to defeat the ill-fated CHATTERBOX at Newbury in a Listed contest. Drops a grade here and despite having a 6lb rise in the ratings I still think he will take this. ACKERTAC 1430 CHELTENHAM (TREBLE) – (unplaced) Ran second at the festival to RAJDHANI EXPRESS over this distance and defeated GOULANES here too, but over further. He is a pound lower in the ratings today than that success and must have a big chance. ALFIE SPINNER 1245 CHELTENHAM – (2nd – 7-1 = £4.38) Has been running consistently well in some good races. He has decent form on softish ground and is on a mark that should see him be AT LEAST competitive. With AP on his back it may see him grind it out from the front.